Over the last several years, we’ve all seen the campaigns to Buy Local. It’s sold as a goodwill measure to balance the big-box and chain grocery stores. The message needs to be clearer. You need to buy local in order to support your local economy. Money is the lifeblood of any town and in order to survive, it needs to constantly pump through the community. Watching any one of the documentaries about food in America can make a person hanker for a salad. In Morgan Surplock’s 2004 Supersize Me, he ate only McDonald’s food for 30 days and gained nearly 25 pounds. Jamie Oliver’s Food Revolution explored modern-day schools and showed how government regulations are contributing to the obesity in this nation. Teaching our children that french fries and ketchup are acceptable forms of vegetables should be unacceptable. The ruling documentary however is 2008’s Food Inc., which revealed the deplorable, unsustainable mass food manufacturing process and the federal body that governs the labeling of our food. We need to dig deeper, expect more for ourselves and our bodies. Life expectancy in the United States was once expected to reach 100 years by 2060, however, in the last thirty years, in the age of obesity and increased diabetes, the acceleration of life expectancy has greatly declined. We may not even reach the projections this century, if ever, according to a special report in The New England Journal of Medicine. WHY IS LOCALLY SOURCED FOOD BETTER? “Our taste buds are there for a reason. They are there to guide us to nutrition. It is not greed or gluttony to like the taste of food. It is a natural drive to nourish ourselves,” says Carol Boutard, Oregon farmer. Good food is not only to be found in restaurants. Chefs prepare and showcase food that you can recreate at home or begin to understand the local foods available to you. The industrial state of food in this country is not concerned with taste or quality. It is only through grassroot movements that truly edible food is available. As a nation we have put a lot of stock into the belief that our government is there to protect us. However, in recent years it can be shown that they do not work for us, instead they work for the large companies that pay for their political campaigns. “You are told that food should be cheap. I think we have to learn to understand that we have been educated by a fast food system that tells us that cooking is drudgery. It’s much easier to go out and buy it,” mother of modern food, Chef Alice Waters of Chez Panisee, Berkeley, California. The United States spends less on food than any other industrialized nation. We replace meals with snacks made for “on the go.” The majority of our food is unnatural and predominantly high fructose corn syrup and sugar. The chemicals and high sugar in our processed foods contribute to our obesity and poor health. We don’t have a problem spending more on technology, cars, homes, or luxury goods, but we have a major problem paying for locally sourced, chemical free nutrition. As a nation, we’ve been trained to believe that more is better. We all complained when the fast food chains started downsizing their hamburgers. Americans need to learn that more is not better. And, made fresh daily does not mean healthy, organic, unprocessed, or even made on-site. We are a nation of overeaters. It really is a contributing factor to our weight. We want the biggest meal for the least amount of money otherwise, we feel were ripped off. In 2000, for the first time in history, there were less acres of farmland than the previous year and the acreage has decreased every year since. Yet, we are out pacing our population growth projections. During the Great Depression and the Dust Bowl, it was incredibly difficult for families to eat. 100,000,000 acres were affected as recorded in A History of Us: War, Peace, and All the Jazz by Joy Hakim. During this period, there were about 2 billion people in the world. Today, there are over 7 billion people and notably less land to grow food. “In fact, some 3,000 acres of productive farmland are lost to development each day in this country,” United States Environmental Protection Agency Report on Agriculture Landuse dated April 9, 2013. The ability for us to grow our own food has declined so dramatically that Farmer is no longer listed as an occupation on the United States Census. Additionally, less than 2% of the food we receive from overseas is inspected. But, if you don’t care where your food comes from, then why should you care what was done to it before it lands on your plate. "If you buy a pound of ground beef in the supermarket, you are buying a composite of hundred, if not thousands of cows. If any one of those cows had E coli problems, then its all mixed up in that same batch and shipped across several states,” John Neumeister, Cattail Creek Lamb. “The raising of chickens now is just totally different. Everything back when I was growing up, and my mom started the farm, and was raising the chickens, it was a lot more manual labor. There were less chickens, the chickens grew for longer, the type of feed that was given to them didn’t make them grow as fast, “ said Mrs. Smith, Industrial Chicken Farmer in Arkansas. South Carolina’s top commodity in 2009 were broiler chickens, accounting for over 30% of the state’s agriculture sales, according to the National Agriculture in the Classroom’s A Look at South Carolina Agriculture. There are eight times more chickens on factory farms than there are people in South Carolina. Huge meat companies like Foster Farms and Perdue source their meat at several of these farms, forcing small farms to be replaced by factory farms. “When people say that the industrial food system is unsustainable, we throw around that word without really thinking it through. What does that really mean? It really means it can’t go on this way. Monocultures are very dangerous things. A monoculture is a lot of the same species growing together without variation. Nature doesn’t have monocultures. When you grow too much of the same thing, you end up with too many of the pests. The only reason you can grow vast amounts of the exact same species of animal in close confinement is because you use antibiotics to keep them alive,” says Michael Pollan, author of In Defense of Food: An Eater’s Manifesto. When a crop is planted year after year, certain weeds will become prevalent and certain bugs will want to take over. “You have to spray for the darn things. Which you never used to have to do,” says George Naylor, farmer. The resistance to the pesticides is building, so what will happen next? Perhaps, it’s already happened; hence genetically altered seeds and animals. “I don’t believe there is anything unhealthy in these chickens just because they grow as fast as they do. I think it’s just that these chickens are genetically bred to do this,” added Mrs. Smith. Chickens on factory farms are kept indoors without fresh air and natural light. Foodborne illness isn’t the only health threat, the overuse of antibiotics fuels antibiotic-resistant bacteria. The arsenic and growth hormones used in the feed, which in turn is stored in the chicken and its eggs, could cause cancer in those that eat it. More than 500 million eggs were recalled in 2010 due to Salmonella contamination. We’re taught it can be transmitted from raw poultry, meat, and eggs. But, do you know where it originated? Salmonella mysteriously began to appear in the late 1970s and early 1980s. When did industrial chicken farming begin? The early 1970s. There is no scientific proof that they are related, but it is interesting that there also hasn’t been a study on why it occurred, only studies on how to stop it, antibiotics. The USDA tests meat samples and issues a violation when the sample contains residues of antibiotics, veterinary drugs, heavy metal, or pesticides. Brown Packing Co. in Gaffney, South Carolina had 25 residue violations between 2010 and 2011. But remember, processed meat can be a combination of over a hundred animals and there were 33 farms across the United States that were issued at least 10 violations during this same period. According to the United States Department of Agriculture, there are nearly 28,000 farms in South Carolina. As consumers we spend hours researching technology, appliances, cars, homes, and luxury goods because of the investment that we make into them. Some of us pay for exercise: yoga, gym, run club, karate or some activity that keeps us moderately healthy. When are we going to make the same investment in the food that we put into our bodies? Farmers do not make a lot of money and several family farms sold or converted to industrial farms in the hope of making more money. The 2009 US Census data shows the net earnings from farm activities on farms with sales less than $249,000 was on average $2,615, which represents 90.5% of all farms in the United States. The average salary for a farming family was $51,413 in 2011, according to the US Labor Department. These are not large operations and with the pressure to succome to industrial farming too great, we need to help support the farmers that try to farm naturally and provide us food that nourish our bodies rather than contaminate them. Someone once told me: “The only thing Americans fear is inconvenience.” How true is that statement? We only like to do things when they are convenient to us, which is one of the reasons we have become a fast food nation and consumer of products made to eat on the go. If we can’t have a meal on the table in 15 minutes or easily edible while driving, then what’s the point? We lead busier lifestyles than previous generations. We work more hours, participate in more activities, and watch more television. If we didn’t desire things to be convenient, then we wouldn’t have new fast food chains popping up, growing frozen food sections, pre-packaged products, and pre-cut vegetables. Are you ready to take the first step towards better, healthier, more nutritious food for yourself and your family? There are a few ways that you can supply your own kitchen with locally grown food from North Carolina or South Carolina. “Buy South Carolina. It’s a Matter of Taste,” one of the slogans of Certified South Carolina [CertifiedSCGrown.com]. According to its website, the Certified South Carolina program is a cooperative effort between the South Carolina Department of Agriculture and producers, processors, wholesalers, and retailers to promote South Carolina products. In order to be accepted in the program, a membership application is required to be accepted by the South Carolina Department of Agriculture. There are two memberships available: Certified South Carolina Grown and Certified South Carolina Product. When shopping at the grocery store or farmers market, look for the Certified South Carolina sticker on the produce or product. You can register for a “Free Range” delivery or register for membership on their website to receive fresh, local produce, meat, fish, dairy, and artisan products like bread and honey. Community Shared Agriculture (CSA) provides a direct link from farmers to eaters. 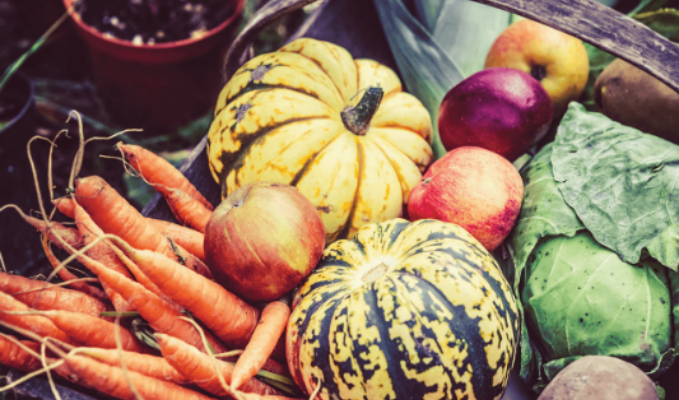 Individuals pre-purchase a “share” of the farm’s harvest, ensuring that the farmer can complete the growing season without the headache of trying to figure out how to sell it. In exchange, the individual receives a supply of fresh produce and products. There are several farms in the area that are members of the program. Search LocalHarvest.org for more infromation on members. Microfarm Organic Gardens in Charlotte, North Carolina can help you get started with your organic garden or urban farm. They believe that everyone has the right to grow their own food and they design gardens of all shapes and sizes. The team can design, build, plant, and professionally maintain your edible garden, chicken coop, greenhouse, rainwater collection system, and compost system. They also sell a variety of seedlings to get your started. A few years ago, I spent three months in Europe and really learned what sourcing locally meant. It wasn’t until that trip that I understood the deplorable food conditions in the United States. I didn’t change what I ate or how much I walked, but some how lost 20 pounds. I find it interesting that I could indulge in chocolate, cheese, and bread, yet still lose weight. To me that really says something about the difference between industrially produced food and fresh food. During my homestay in France, I learned that the town freely exchanged food from the family farms. Every family had some sort of farm, some a few acres and others only covered a portion of the side yard. The town had a butcher and a baker, but otherwise they shared their food with each other because it created a dependency on neighbors rather than an anonymous global community. Let’s remove ourselves from the national epidemic of obesity and diabetes. Know where your food comes from and go meet your local farmers and chefs. It’s a beautiful day for a neighbor. “I hope you’re proud of yourself for the times you’ve said ‘yes,’ when all it meant was extra work for you and was seemingly helpful only to somebody else,” Mr. Rogers. Spend one week’s fast food allowance on food from a local farm. Spend one week eating at restaurants that only source locally. Let us know your opinion on Facebook, Twitter, or here.